Me & Gigi are proud to announce that we going to organise Kid's Art Workshop for 3 days during school holiday; date to choose: 3, 6 or 7 June. Suitable for kids from 5-12 years old. 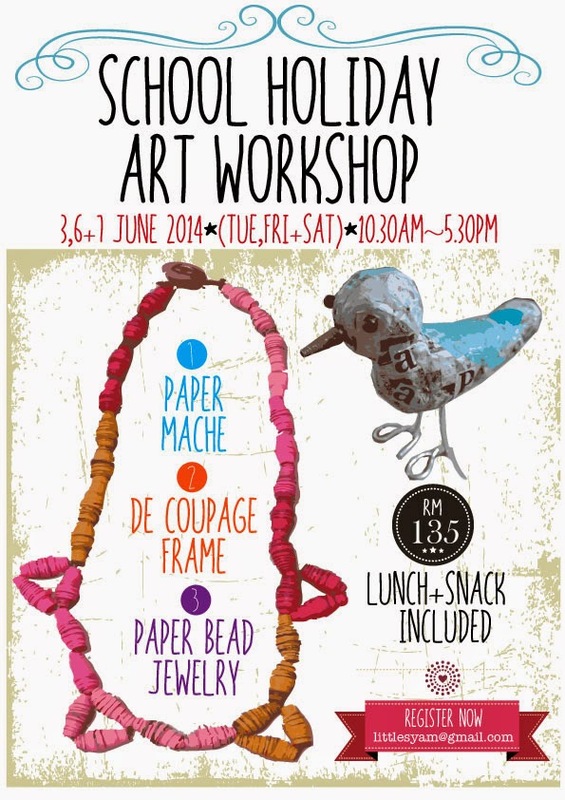 Each kid will need to complete 3 type of art products which consisted of decoupage frame, bird or bowl paper mache & paper beads jewelry (few choices to choose one). The location going to be at Emi Kaz Boutique, Wangsa Melawati. Workshop fee is RM135 which includes lunch & snack. The workshop start at 10.30am till 5.30pm.